Born and raised in a poor, working-class family in Toronto, Jack Spayd is the son of an unhappy marriage. But when he is given a harmonica as a young boy, he discovers a talent for music that will change his life forever. After being taken under the wing of ‘Miss Frostbite’, the owner of a local jazz club, Jack becomes a gifted musician, playing piano and harmonica. After the death of his mother, he travels to Las Vegas and finds work in the clubs there, but is increasingly drawn to gambling. He earns a reputation as a good player, which brings him to the attention of the mafia. Jack wants to join the professional circuit, and to do that he needs serious money behind him. Book could have been condensed. The book started of very interesting and you didn’t want to put it down. Some thought provoking sentences, a bit too much violence. Much laughter re the parrot – called ‘Jack of Diamonds’. All were happy he wasn’t killed. Large volume – was difficult to hold, but typical Bryce Courtenay; would make a great television drama. Some American slang language was difficult. Very graphic sexual descriptions. 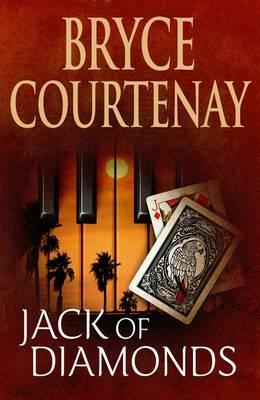 Jack is somewhat a coming of age story! Overall everyone read it but there have been better ones. This entry was posted in Australian Authors, Book Reviews, Fiction and tagged Bryce Courtenay, Jack of Dimonds, Parramatta City Library by admin. Bookmark the permalink.